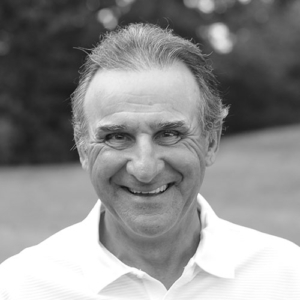 Internationally known for his work in the area of applied sports psychology, Dr. Bob Rotella is consistently recognised as the top sports psychologist in the world. His book Golf Is Not A Game of Perfect is the best-selling sport psychology book of all time and one of the three best-selling golf books in history. Dr. Rotella’s golfers on the PGA Tour are the PGA proven winners, including British Open Champions Padraig Harrington and Darren Clarke, Masters Champion Trevor Immelman, US Open Champion Graeme McDowell, and Keegan Bradley, winner of the PGA Tour Championship. As a teacher, Dr. Rotella has been selected as one of the top 10 golf teachers of the 20th century, and he directed the leading graduate program in the country for 20 years at the University of Virginia. Dr. Rotella has dedicated his life to helping coaches, athletes, business leaders and salespeople use their minds and emotions skyrocket them to the top of their chosen professions. 11 PGA Championships, 4 US Women’s Opens, 6 LPGA Championships, 5 Kraft-Nabisco Championships, 5 Tradition Championships, 7 Women’s British Opens, 2 Senior PGA Championships, 5 US Senior Opens, 3 Senior Player Championships.